The NOAA Weather band antenna is perfectly tuned to receive the 162MHz NOAA weather radio broadcasts. If you are looking for an antenna for your weather radio, this is the one to get. Used and trusted by Emergency Managers, Public Safety Officials, Outdoor Event Venues, Schools, and Factories; this antenna will increase the range and signal strength for your weather radio, assuring you will receive critical alerts and messages from the National Weather Service. The NOAA Weather and railroad band J-Pole is also big hit with railfans everywhere. This antenna is tuned to the 160-164 MHz railroad band and will give you superior performance over the antenna that came with your scanner. 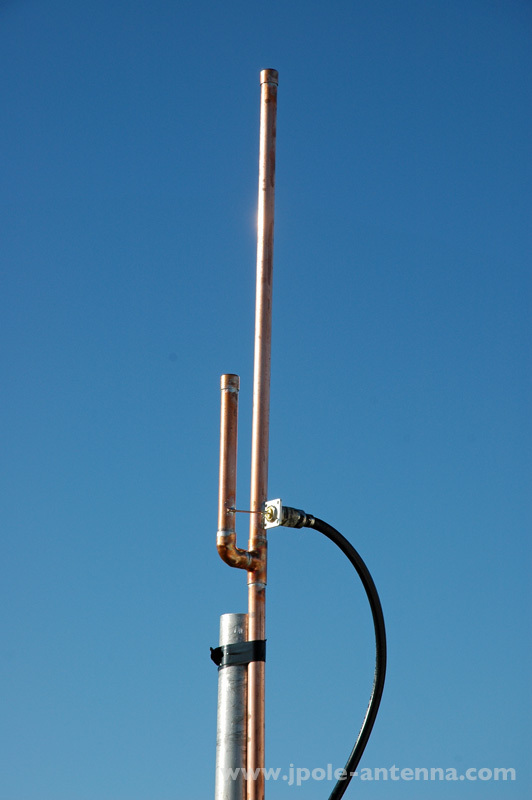 If you are serious about listening to the rail band, then this is the antenna for you. I live about a block away from the rail switch yard and it never ceases to amaze me of the amount of radio traffic you can hear from the train crews. 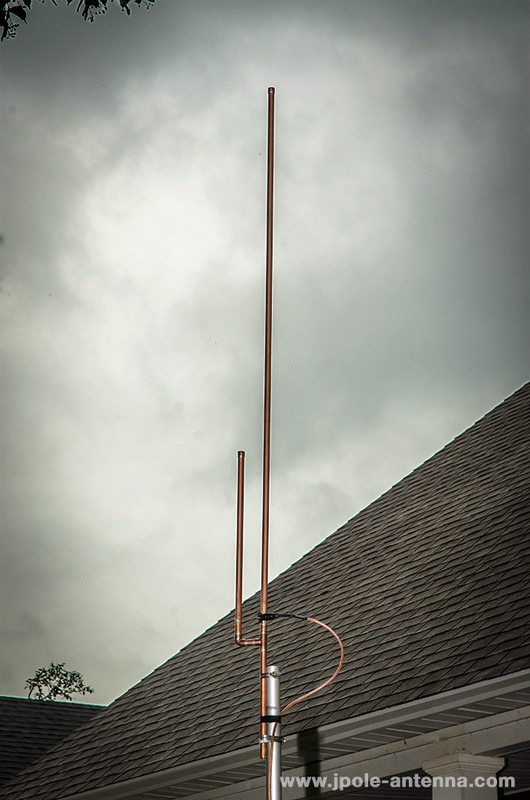 This antenna will do a great job at picking up both the road and yard frequencies. If you want to know what trains are coming into town, or live near an active yard, I highly recommend this antenna. Nothing spices up a model railroad layout more than piping in the sound of actual railroad radio transmissions. I have the antenna mounted approx 30ft. on the roof of the house and I am pulling in Locomotives from about 30 miles away.The RR frequencies are really busy now that I have something to pull them in with. I am picking up base units from well over 70+ miles with ease and can say this is the best $35 I have ever spent on an antenna. Most weather radios, including the popular Midland WR-300 & WR-120, use an RCA jack for their antenna connector. You will need an adaptor and an appropriate length of cable to connect the radio to the antenna. Follow this link for instructions on how to connect an external antenna to these radios. A second option is to use the RCA to F Female and PL-259 adapter kit. This kit consists of two connectors that allow you to use common RG-6 cable to connect your NOAA weather radio to an external antenna. This is by far the best $32.00 I have spent on a antenna! I think it’s the best railroad antenna out on the market. I’m able to pick up train crews talking 15 miles out with the antenna only 14ft off the ground. I’ve once tracked a train for 20 miles, and that’s with the train running parallel with the antenna! I live in extreme Northeast Texas, and we have nothing but piney woods surrounding us, and this antenna is still able to pick up 15+ miles out! I’m very pleased on how my J-Pole antenna works! Have utilized the NOAA version in broadcast EAS situations with great success in every application (site) I’ve installed one of them…and I think that’s at least 6 and I’m placing an order for a couple of more to have on hand as they have solved a lot of problems…have recommended them to several of my colleagues. I modify the mount portion for a better mounting situation (my preference) as these antenna are rarely afforded much protection from the wind…no problems to date.